This Box Set is sent to those who love tai chi. It is a instructional video meant for my students, and those who wish to participate. Study this video and learn Sifu Blackburn's 24 form set. This set is the most accessible series for students wanting to learn Chen's Tai Chi. Order your copy today to receive the entire box set as soon as possible. The CD which accompanies this DVD was recorded by Christopher Perreira. 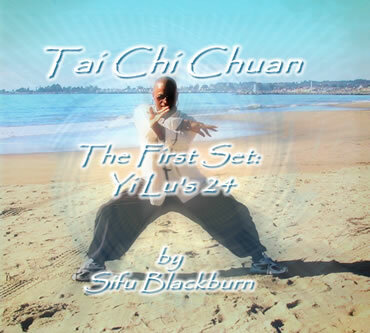 The music is his meditation on Sifu Blackburn's tai chi and chi gong. Click the button above to order your dvd/cd today! Online orders can only be placed through PayPal at this time.